Students, attend iCon 2013 for FREE! Great news to all students who want to have a good financial future… you can now have a chance to attend iCon 2013: The No Nonsense Investments Conference for FREE! Sun Life Financial is pleased to announce that they will give free spots to selected students for a simple blog / essay writing contest. 1) Open to Students only – High School, College and Post-Graduate students. You must show proof that you are a student by showing your School I.D. upon claiming your ticket. 2) Entry is via a blog or an essay posted in Facebook with two (2) topics/theme to choose from: “How can a student contribute to the national economy?” or “Why do students need to learn investing?”. A brief mention about iCon 2013 will be appreciated but not necessary. 3) Blogs or essays should be a minimum of 300 words, no maximum. 4) Blogs or essays should be posted between May 24 to June 9, 2013. Announcement of selected winners will be done via e-mail by June 12, 2013. 5) Winners can pick up their tickets at Sun Life located at the 6th Floor, Sun Life Center, Bonifacio Global City, Taguig c/o Karen or Dave. 2 tickets per winning entry. * Selected blogs / essays maybe featured in www.randelltiongson.com and www.marvingermo.com or used by Sun Life for posting. A lot of tickets are ready for those who want to join. Sali na! This looks interesting. I plan to write one on my blog, I hope I can get pick. Thank you for this great information! This is very interesting. So where do we post our entries? 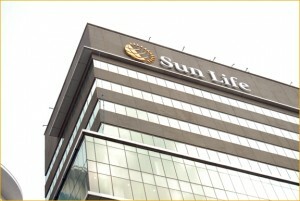 Is it on Sun Life’s wall? This is great! I just want to be part of this conference.